Beer maestros brew for the seasons: Light and thirst-quenching suds for summer, malt forward amber brews for autumn, and for spring-refreshing beers with some hop presence and a decent malt backbone. Winter — with the cold, snow and lack of daylight — requires a whole different kind of beverage. In winter, beer drinkers across the land reach for rich and robust brews to warm the soul. 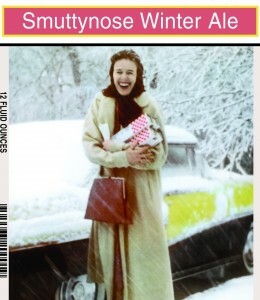 Brew masters and breweries everywhere, of course, realize this and release their cold-weather winter offerings, usually called Winter Warmers, Christmas Ales, Holiday Ales, or Winter Ales/Lagers. These solstice-celebrating suds can be of any style but are usually of the heartier variety — Old Ales, Scotch Ales, Brown Ales, Porters, Stouts. The vast majority utilize roasted and crystal malts to achieve a darker, richer flavor profile. Some of these malt-forward, substantial beers are spiced and most are well above 6% ABV (Alcohol by Volume). Speaking from years of experience, many do indeed elicit a warming feeling. Each year we put eight of these winter seasonal brews to the test. There are dozens to choose from at any beer mega mart (mine is Total Wine and More) and eight are chosen based on mere whim — with the only criteria being that they be available by the six-pack. Since many different styles were covered under the guise of “Winter Seasonal”, this was not a blind tasting and each selection was evaluated solely on its own tasty merit. 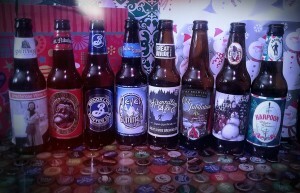 In both last year (2011) and in 2010, eight winter seasonal beers were reviewed and many made the grade. This year, in the 3rd Annual Winter Beer Challenge, a new crop of challengers compete for holiday party invitations. A few were also reviewed in 2010 but recipes tend to change for these late-year seasonal brews, so we decided to include them.